In the complex data-driven world of healthcare, Unified Communications (UC) technology is one way to increase efficiency, enhance operational performance, and improve patient safety. Timely and reliable communication of accurate information is critical to effective health care delivery. The integration of data, voice, messaging, location awareness, and event management can be a valuable strategy for healthcare environments where the speed required to process patient information is critical to the decision-making process. Unified communications is particularly important in an emergency communication system. In an emergency, the ability to communicate life-saving and damage-mitigating notifications and instructions is very important, and the integrated and wide-ranging scope of unified communications would bear great benefit for emergency-oriented communications such as those that make up the healthcare industry. 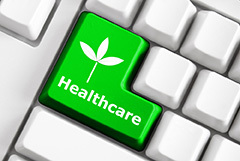 Interaction Requests: Many health care processes require interactions with a remote participant. With a Unified Communications solution, this can be supported via smartphones, wireless tablets or wireless phones with text displays. Results Delivery and Order Entry: Unified Communications offer software capabilities that deliver medical results to mobile devices, in addition to delivering to desktop computer displays and paper-based results reports. Mobile devices are capable of displaying consultative quality images as well as audio or textual results. Process Automation: Process automation is another area that can benefit from unified communications. For example, communications related to patient discharge can be automated to relieve nursing staff from tedious chores. Voice technologies that allow healthcare professionals to create and send faxes and emails without having to use a computer or a fax machine can be particularly useful. Sending faxes using VoIP is sometimes referred to as FoIP, or Fax over IP. One IP-based solution for delivering fax-over-IP is called T.38 is available and can use a traditional fax machine connected to the PSTN or it could be a computer pretending to be a fax machine. Whether exchanging patient records or processing health insurance claims, health care workers and agents now have more time to focus on patient care. Unified Communication hands free email features allow medical staff and personnel to create and send emails by dictating into a handheld speech microphone or headset compatible with email applications. This technology can also enable caregivers to use their voice to expand screen panels, scroll left and right, access images, bring up documents and make other screen changes that previously required finger contact. Specialty software can include features such as a dictionary of medical terms and phrases that streamlines use along with the convenience of voice recording. This hands-free environment provides medical professionals with yet another point of convenience and helps make delivering patient care the top priority. Improved communication among team members and between care teams at hand-off points can help mitigate adverse medical events, achieve workflow and process improvements, improve staff utilization and productivity, and reduce patient length of stay and costs through efficiency gains. A dynamic, unified communications environment that connects voice, video and data systems throughout large, multi-site hospital systems, reduces the number of mobile devices physicians must carry to stay connected, improves collaboration among colleagues and speeds document sharing. The result is faster, more efficient patient care.